Any new mom would be delighted with an Aaron Basha charm from the Baby Shoe collection to commemorate the birth of a new bundle of joy. 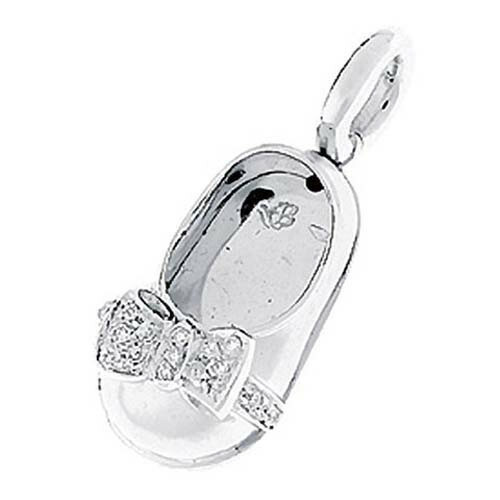 With sheer brilliance, this baby shoe is crafted in 18kt white gold with a diamond-studded bow and strap that dazzles. The monotone simplicity of this Aaron Basha charm is absolutely stunning!